food: chicken & fennel stew | eat. drink. fly. i’m getting great mileage out of the primal blueprint cookbook. i must say, their recipes are really good. 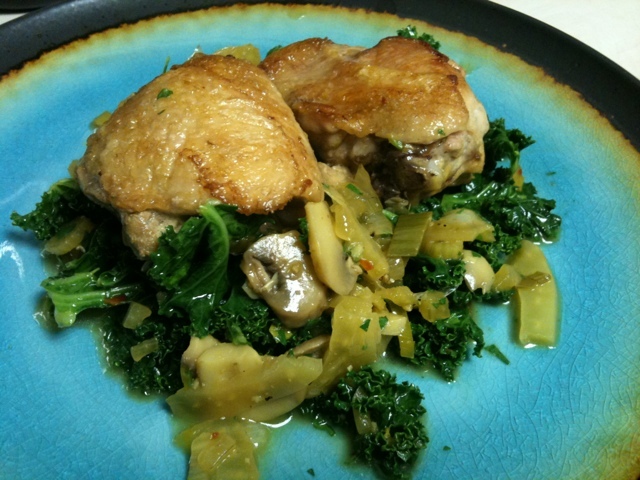 when i initially bought it and flipped through, this chicken & fennel stew jumped out at me. anyways, as usual… this recipe met all my criteria for making it. 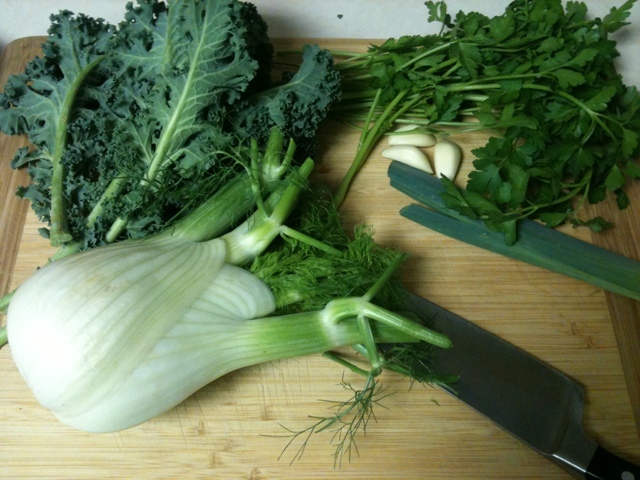 ingredients i liked, pretty healthy… and stuff that i had on hand. mostly. it was also filled with green loveliness. additions – i added some chili flake and a pinch of salt, since i used beer instead of chicken stock. and black pepper. also i had a leek end, so i threw that in too with the vegetables. 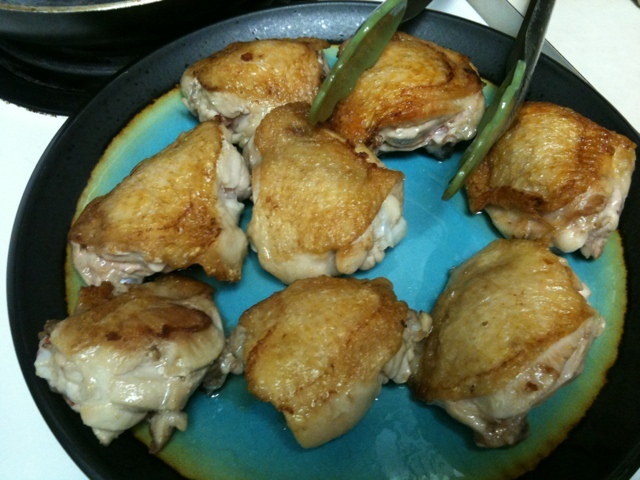 first off, brown the chicken thighs on both sides and remove from pan. 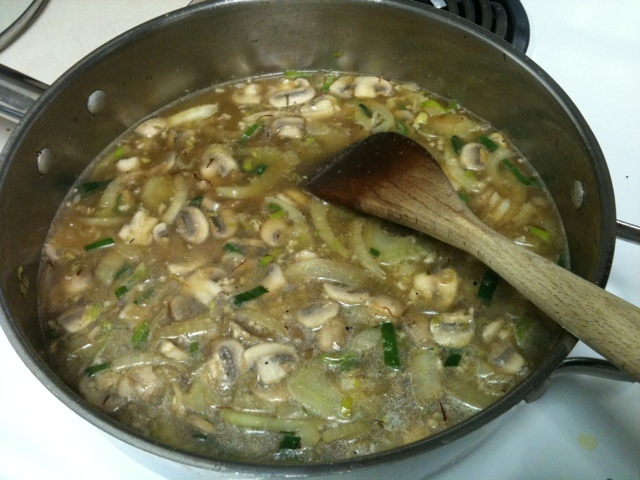 then saute the fennel, onion & mushrooms in the chicken fat. add a little oil if needed (i use coconut oil). when they’re getting soft, add beer to pan and bring to a boil. add the chicken thighs back into the pan, put the lid on and left cook for 25 minutes or so. when the chicken is cooked through, remove from pan. at this point, i put mine on a rack in the oven for a few minutes to crisp the skin back up. this totally optional but lets face it, no one likes soggy skin. 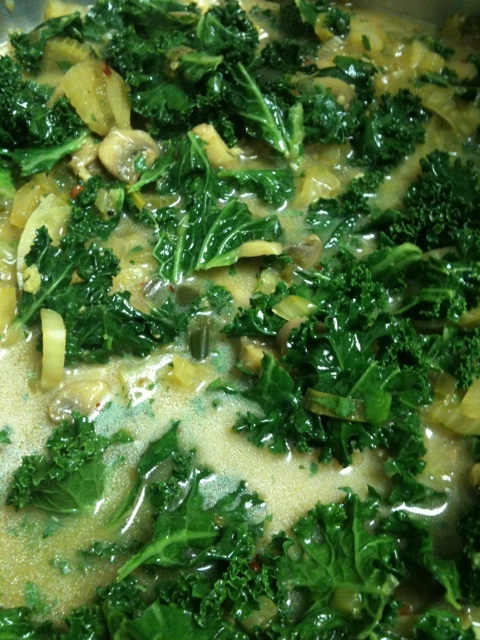 stir in kale, parsley and coconut milk or cream. 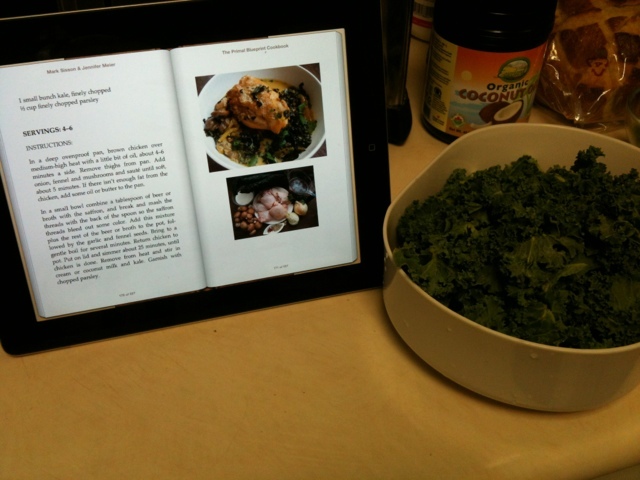 once again, can i mention how much i love my ipad for cooking? the cover that doubles as a stand is the best idea ever. We’re several volunteers in addition to commencing a new system inside our online community. Your website provided us helpful information to help artwork with. You could have done any strong activity plus our own complete area will be happy to your account.